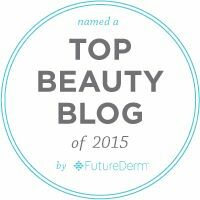 As the days of Autumn get shorter and cooler, our thoughts turn to the harsh, cold days of Winter and protecting the delicate skin of our lips becomes a top priority. 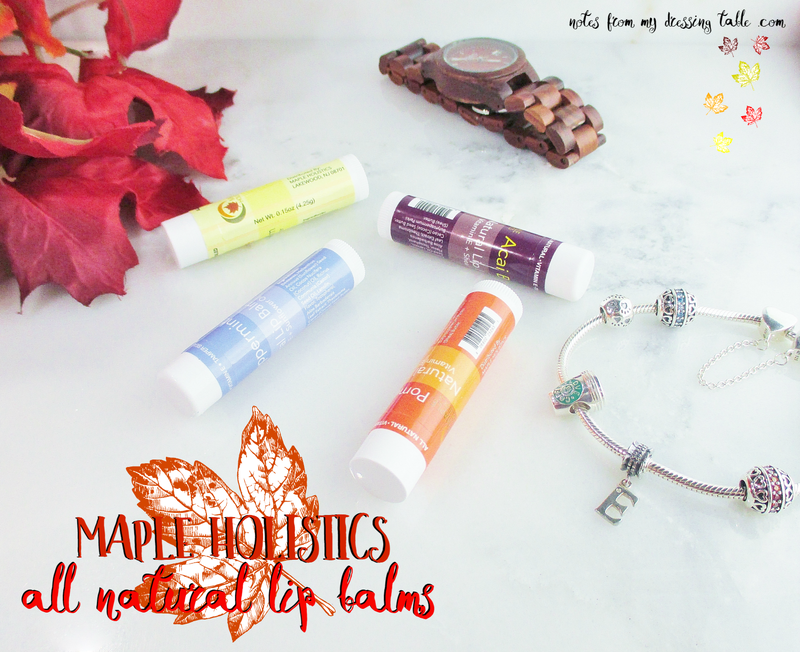 Maple Holistics Natural Lip Balms can help! With a nurturing formula rich in Beeswax, Aloe Vera, Sunflower, Coconut and Castor Oils, Cocoa and Shea Butters, these lip balms can keep your lips soft, hydrated, comfortable and protect them from the cold, dry air and harsh cold. Maple Holistics Natural Lip Balms come in a set of four flavors: Vanilla, Pomegranate, Acia Berry and Peppermint. All of the scents and flavors are light and pleasant. The Pomegranate and Vanilla are my faves. The Acia Berry is lovely, too. I passed the Peppermint along to my mother in law to get her opinion of the formula. She gives her whole hearted endorsement and has requested a set as a stocking stuffer. I give my endorsement, as well! 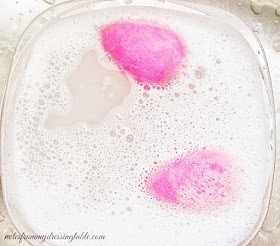 If you read me with any consistency, you know that I have very sensitive lips that are prone to dryness thanks to a chronic medical condition that is under a dermatologist's care. 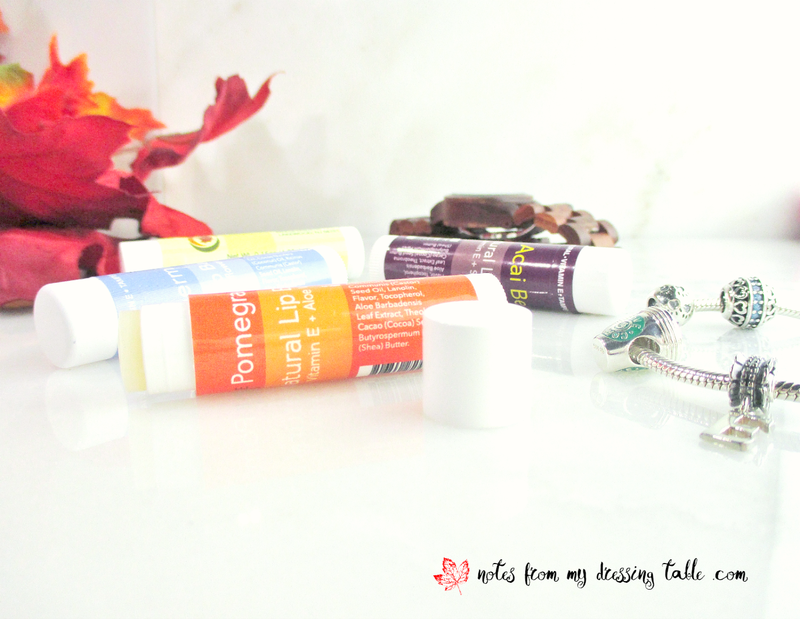 I have to keep my lips constantly protected and hydrated and I have to be very careful about what I put on them. They like these lip balms, they find them comforting and caring and I will definitely purchase more, when these run out. Maple Holistics Natural Lip Balms are only $7.15 for the set of four. They are perfectly budget friendly, cruelty free, gluten free, soy free, paraben free and GMO free. Maple Holistics Natural Lip Balms are made in the U.S.A.
Have you tried these lip balms? Would you consider them? Please do tell.